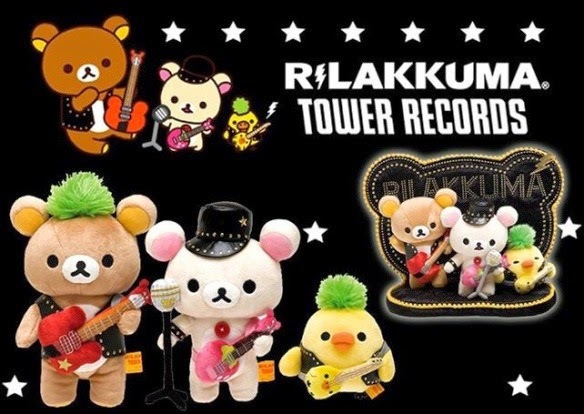 "No Music No Life" was once again used in 2013 Rilakkuma x Tower Records 5th collaboration project. This was a ロックテイスト Black Rock theme series. Again, each of the character were given music instruments and the spotlight of this series was that both Rilakkuma and Korilakkuma got the green Mohawk! It also seemed that Korilakkuma is the star of the series as the vocalist! The band had matching clothes and super cute instruments. Korilakkuma was playing the bass. Look at how enjoyable they are when they are on stage! Like the previous collaboration, San-X and Tower Records released towels and other useful merchandises. The caravan mascots are slightly different from the usual suits. 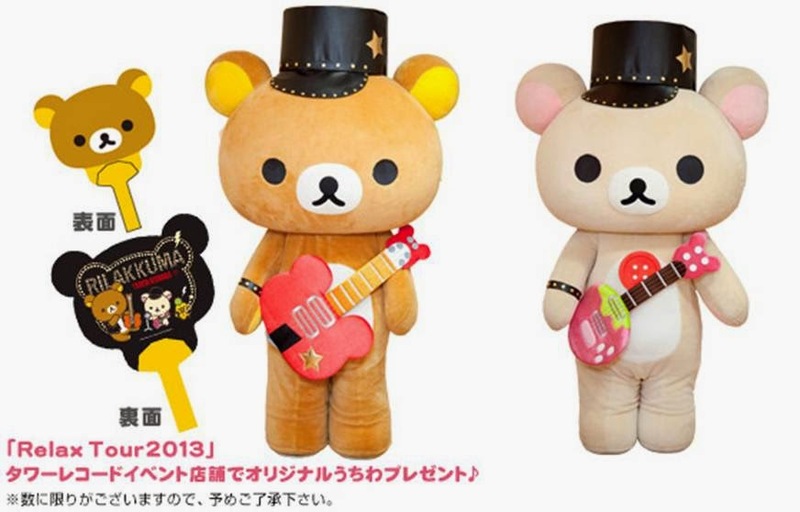 Rilakkuma was not wearing his rocker suit and was given a rocker cap instead. 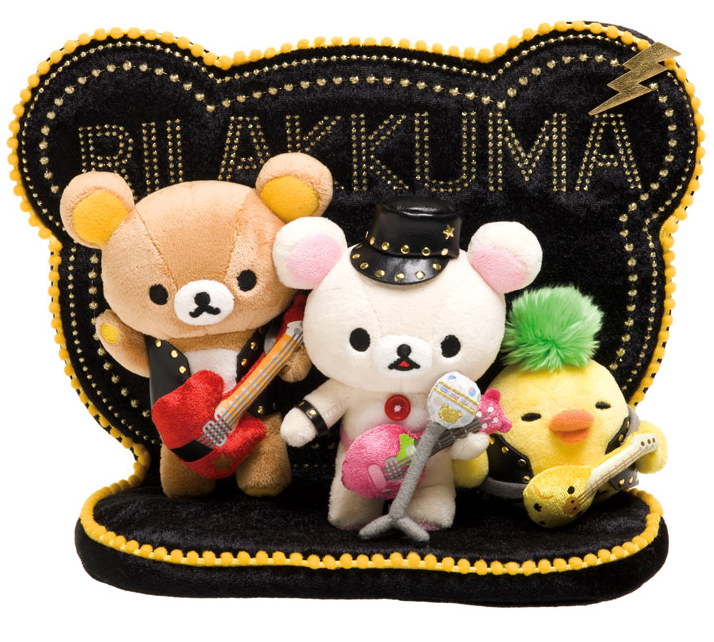 Check out this video to look at Korilakkuma jamming it out! We would really love to get the chance to visit Japan and take photos with these life size cuties!